What a fun-filled day yesterday! Before I get to the recap, however, let me start off with a piece of news. 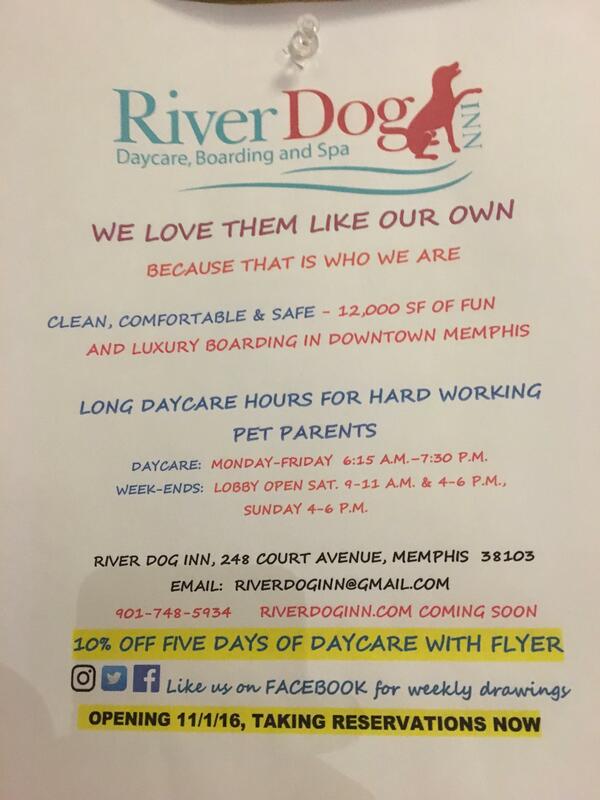 I don’t know if any of my readers are dog owners who travel frequently, but if they are, a new doggie daycare has opened Downtown. It’s near Downtown Elementary and has 12,000 square feet of space for your pups to play. Click the image below to see details in a larger size. I led off the day at Bardog, where they did something that I thought was really smart. People who don’t do Thanksgiving at home miss out on one of the best parts of the holiday – leftovers the next day. Bardog had a leftovers plate for lunch – turkey, dressing, cranberry sauce and all the trimmings. It was a popular menu item. With a Friendsgiving dinner that evening at 7, I knew it was too much for me to eat though. I’d spoil my appetite if I tackled that plate. I didn’t try it, but Bardog has a New Belgium Chocolate Chip Cookie Dough Ale that sounds like it would be mighty good. However, I found a new item on the menu: Tiger Nachos for $4. Simplicity. It’s a bag of nacho cheese Doritos covered with melted pepper jack, baked in Max’s oven. They did it right, too. It’s not just the top chips that are covered in pepper jack. Nearly every chip, all the way to the bottom, had cheese on it. This was the perfect sized snack to get me through the afternoon hours without filling me up. 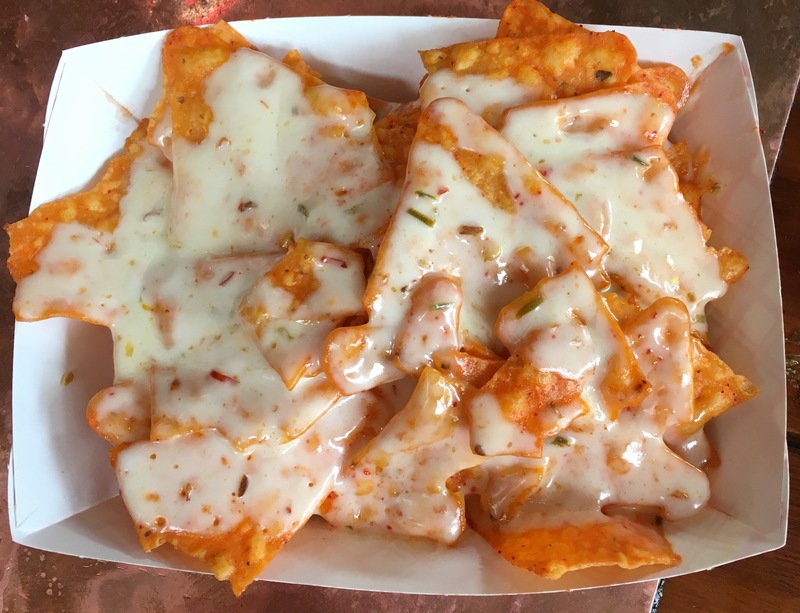 Can you imagine how Tiger Nachos would sell if it were legal to smoke weed in bars here like it is in Denver? 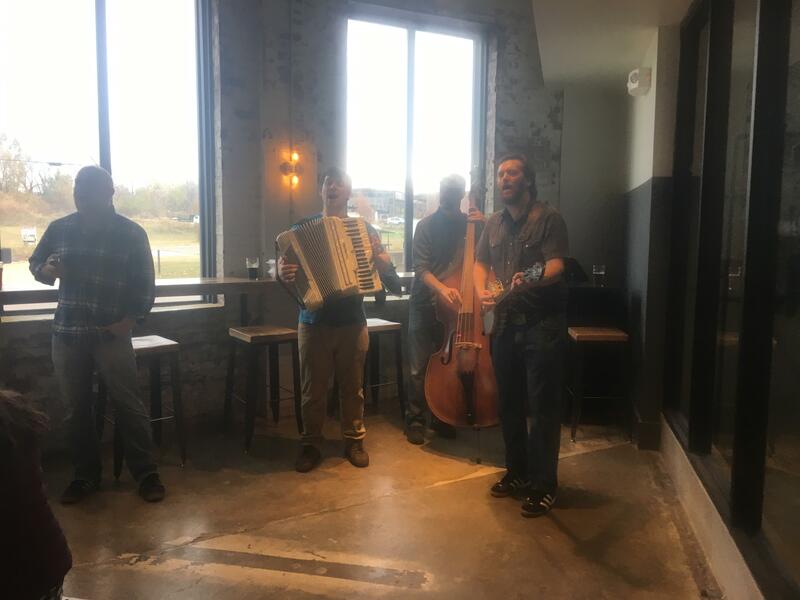 After the Tigers scored a fine victory, I walked down Main to the Ghost River taproom, where my friends South Side Supper Club were playing. You know, I’ve heard South Side Supper Club before at Earnestine & Hazel’s, the Farmers Market and other venues, but yesterday was the first time I really listened to them. This is a group with a clarinet, accordion, bass, and banjo, and there’s a certain range of songs you would expect them to stay in. They did play those songs – “This Land is Your Land” for example – but they have an uncanny ability to take songs from other genres and make them their own. I was blown away when they covered “Material Girl” by Madonna. These guys are really, really talented. They play Earnestine & Hazel’s every Thursday at 9 if you want to check them out. As for the taproom itself, it is gorgeous. There are 12 taps, so you are bound to find a style of Ghost River beer that you will like. I chose the Grindhouse, a cream ale. There is no shortage of seating inside and out, and whether you are by yourself or with a party of 20 you will find seating that works for you. 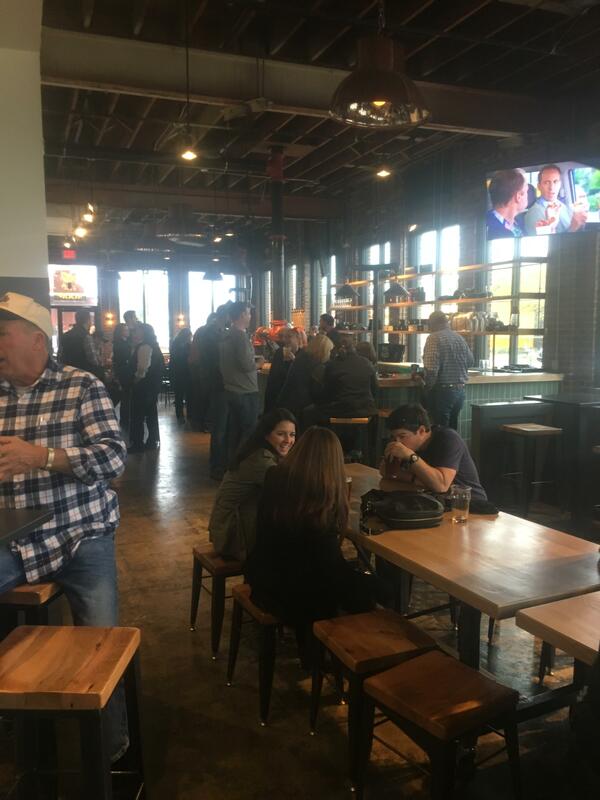 I thought there would be maybe 6 or 7 people inside the taproom. As i walked down Main, I soon realized I was wrong! There were parked cars lining Main all the way up to Virginia Avenue to the north. There were maybe 20 people (and the Monkey Train Grazing Co. truck) outside on the patio, and another 75 or so inside. The place wasn’t completely packed, but it was busy, especially as people who had been at the Tigers game arrived. 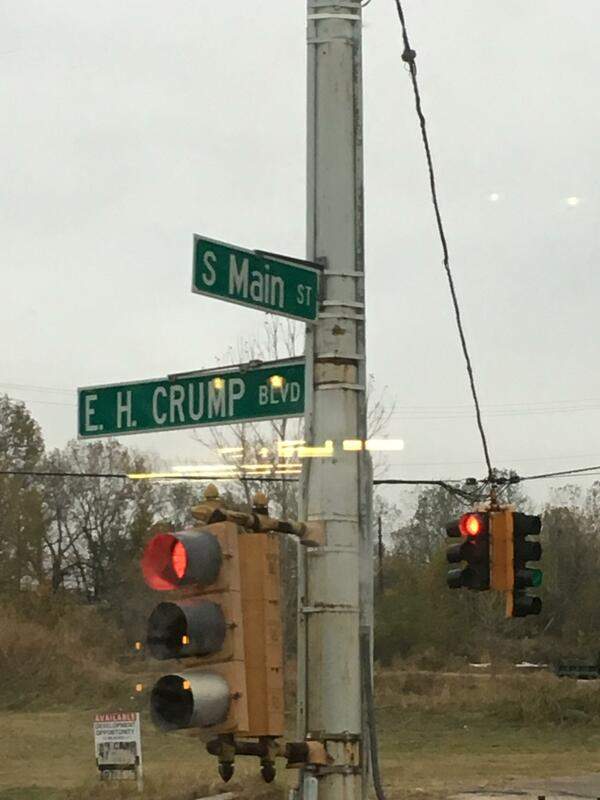 I never thought I’d see the day when so many people would congregate at Main and Crump. My, how Downtown has grown! “By 2022 I bet the north and south boundaries of Downtown will be Chelsea and McLemore,” I told a friend. That sounds ambitious but remember, as recently as 8 months ago there was just about nothing to do south of G.E. Patterson. I did have one awkward moment at the taproom. The woman who stood me up on Valentine’s Day 2015 came in. I smiled and waved at her from a distance, letting her know there were no hard feelings and she was welcome to come join my friends and me. She stayed put, though. Back at the long table where our group was sitting, a mutual friend offered a possible explanation. “Paul, it isn’t your fault, but you may be making her self-conscious. Your hair is just so much more fabulous than hers.” Yeah, I kinda can understand that. By the way, thanks so much to my Squeal Street friends for inviting me to come sit with them. There’s just no telling who would’ve ended up in that empty seat if I hadn’t come over. About 5 I tabbed out and walked back up to Max’s for a bit, then at 7 I was back in South End for our Friendsgiving dinner. 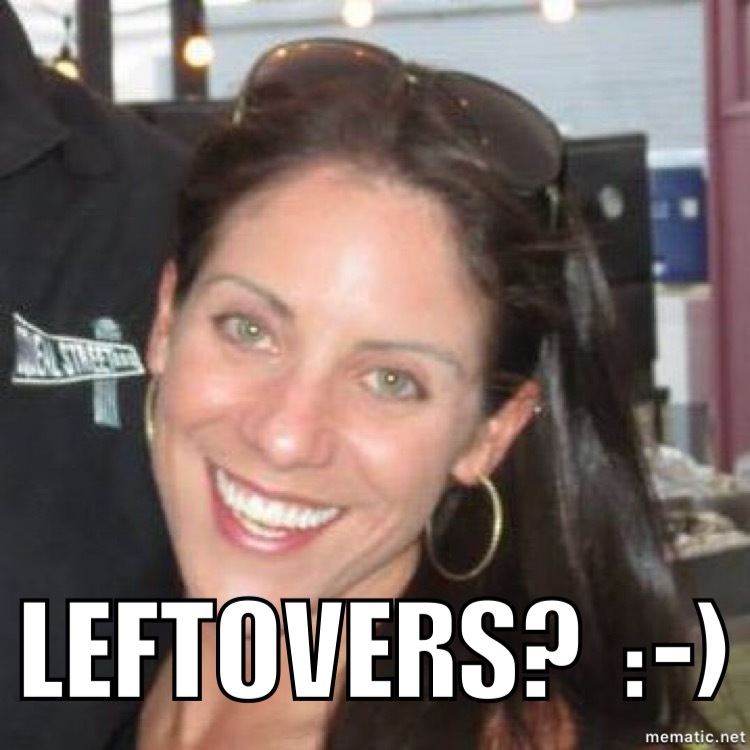 There was turkey, ham, meatballs, more meat, even more meat, side dishes, beer and Fireball. 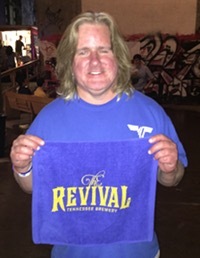 Of course B-RAD wanted to hear all about my visit to the taproom. 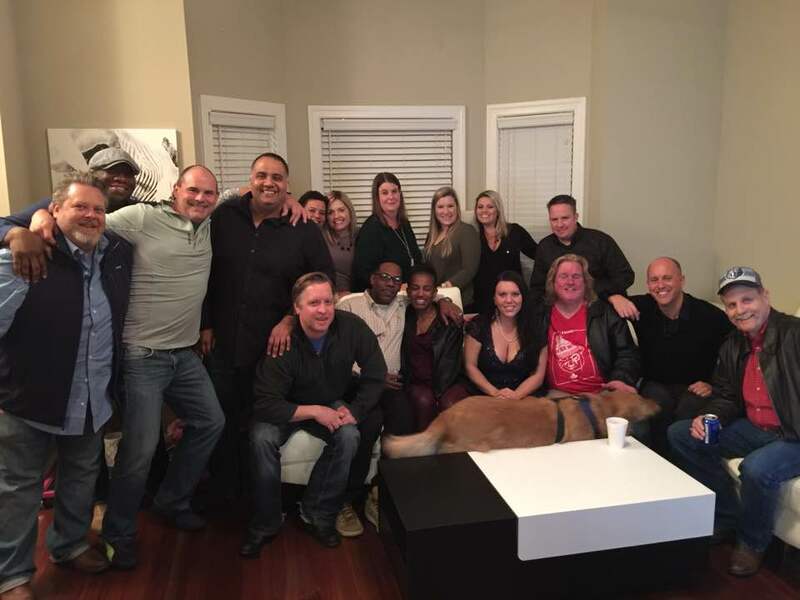 Thanks so much to our hosts Staci and Darin, and to everyone who helped organize Friendsgiving. By the way, I also want to thank my hosts Stevie G and Sarah for inviting me to Thanksgiving dinner at their house on Thursday. The food was delicious and I ate way too much of it. I got to meet Stevie G’s family and talk Tiger football with his dad, a season ticket holder for over 50 years. When I got there, my friend Katie (not Mac) was in the kitchen with Sarah getting things ready. “I smoked a turkey and a pan of mac & cheese.” YASSSSS! Mac & cheese fans who read my blog, don’t be jelly that I got Katie’s smok’d mac & cheese and you didn’t! This is really cool: With one simple gesture that went unnoticed by most people, Tubby Smith proved he is a player’s coach. With the Tigers way up in the second half vs. McNeese State, there was no need to have the Lawson brothers on the floor. However, Coach Smith looked at the stats and saw that Dedric and K.J. each had 9 rebounds. Smith put each brother back in briefly, letting them earn one more rebound so they could each have a double-double. It’s the little things that earn players’ loyalty. Josh Pastner never would have thought to do that. Stock & Belle at 387 S. Main is having a holiday vendor market today from 10 to 6. Custom holiday wreaths, artist demos, a holiday card workshop, popcorn samples, El Mero Taco truck 12-4, and a mimosa and bloody Mary bar. Susan Boles signs her book Death of a Wolfman at South Main Book Juggler tonight from 6 to 9. Back to my regular rotation of Saturday bars today. Bardog at 11, Blind Bear 1ish, rest of the day to be determined.